A year on from the signing of a confidence and supply agreement which saw 10 DUP MPs back Theresa May’s minority Conservative government, leader of the DUP Parliamentary Party Nigel Dodds speaks to David Whelan about their influence in Westminster, whether it has taken primacy over Stormont and his perspective on Brexit. An experienced parliamentarian, first elected to Westminster in 2001, Dodds outlines that the dynamic of the party’s Westminster functions has changed somewhat since the signing of the confidence and supply agreement in 2017, with the Government now requiring DUP support on virtually any piece of legislation that it wants to pass through the House of Commons. 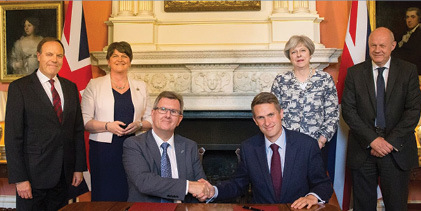 The formal mechanism for interaction between the Conservatives and the DUP is through a co-ordination committee made up of the Government and a trio of DUP privy councillors: Nigel Dodds, Jeffrey Donaldson and Sammy Wilson. However, as Dodds explains, interaction is not limited to those formal mechanisms. “On a day to day basis we have much more interaction with the Government across all departments in respect of their agenda. 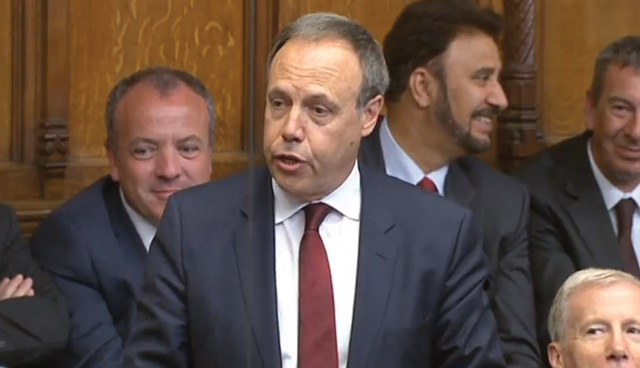 Dodds rejects the suggestion that the confidence and supply relationship has seen the DUP act more as lobbyists than the partnership a formal coalition would have offered. “We are not in a coalition and so we are not in Government. In the areas of the confidence and supply agreement we are partners. The Government cannot, nor has it attempted to, ride roughshod over us. “The Government depends on our vote, so it isn’t a case of us lobbying them,” he explains. “They must come to certain agreements with us in relation to legislation before it can proceed, particularly in the confidence and supply areas such as around Brexit, financial matters and counter-terrorism. It is for this reason, Dodds explains, the party did not seek a place on Theresa May’s cabinet. “We believed the best for Northern Ireland was to have a situation where in certain areas we could guarantee our voice would be heard and at the same time were free to vote against the Government where we deemed necessary. However, a key thing for us was to ensure that we didn’t have another early general election, which in our view meant the real possibility that Jeremy Corbyn might have become Prime Minister, something we believed would not have been good for Northern Ireland or the UK. The Deputy Leader describes discussions with the Government over the past year as being “extremely amicable” and “extremely positive”, asserting that his party has been robust in arguing their case for Northern Ireland where necessary and have successfully forced the Government to take onboard their views around key areas such as the cap on public sector pay, on childcare vouchers and on budgetary issues generally. Other highlights have had a more national impact such as shaping the future of the agri-industry in the UK and ensuring sufficient farm support for farmers throughout the lifetime of the parliament, as well as ensuring the pensions triple lock remains in place and means-testing of winter payments will not occur. Over the course of the year, with the restoration of Stormont not looking likely in the near future, some commentators have detected a shift of influence in the party and insinuated that the elevated position at Westminster might serve to undermine the leadership at Stormont, going as far as to suggest a potential leadership shift from Arlene Foster to one of the Westminster team. Dodds is quick to echo the party’s emphatic rejection of such suggestions. He says: “We went through a similar situation of government suspension at Stormont between 2003 to 2007, when the suspension lasted a lot longer than is currently the case. There are no issues and I see it as somewhat fabricated. In the absence of Stormont, the DUP have voiced their belief that the necessary alternative to failure to restore devolution will be for decision-making powers to be returned to London. Recent focus on abortion legislation in Northern Ireland, following on from the referendum in the Republic, has put greater emphasis on the discussion about to what extent Westminster should and could exercise decision-making. Asked for his analysis on the emergency Westminster debate brought about by Labour MP Stella Creasy, with the support of some Conservative MPs, calling for changes to the law in Northern Ireland, Dodds responds: “We come at this from the point of view that it is and has always been a devolved matter. Whatever people’s views are, it has to be for the Northern Ireland Assembly to decide. Turning to Brexit and speaking shortly after the publication of the UK’s backstop proposals and their subsequent rejection by Michel Barnier, Dodds says that Theresa May’s UK-wide proposal had been something the party was content with, avoiding a situation where Northern Ireland would operate differently from the rest of the UK. He adds: “I think Michel Barnier’s response is somewhat predictable. The EU said in February that they wished to hive off Northern Ireland and create a border down the Irish Sea and they are sticking to that. However, there will come a point when he will have to accept what Theresa May and Labour’s Keir Starmer have stated, that no UK Prime Minister could accept what effectively would be the breakup of the UK constitutionally and the destruction of the UK single market. Asked whether this meant that a no deal scenario would be more preferential than any that created an Irish Sea border, Dodds adds: “No, our position is the same as most sensible people. We believe that we need a free trade deal. We don’t want a crash out or a hard Brexit. Describing the current situation at Stormont as a “limbo” Dodds advocates the implementation of decision-making to ensure that Northern Ireland doesn’t “grind to a halt”. Decisions being taken by a restored assembly is his preferred option but he admits the reality that a lot of “mistrust” still exists around the latest breakdown of talks in February. Dodds believes that an “unprecedented level of leaking and spinning” which he attributes blame for to Sinn Féin, went against a basis for all previous negotiations, that confidentiality would be maintained. Dodds was also speaking shortly after a lecture delivered by former party leader Peter Robinson at Queen’s University Belfast in which he suggested the holding of generational border polls could stabilise politics in Northern Ireland. Concluding with his vision for the future, Dodds believes that the DUP’s role in Westminster in coming years will be critical and he wishes to see the party deliver for Northern Ireland. 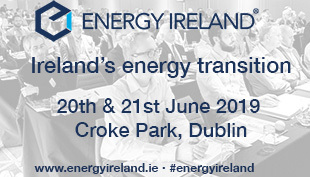 “We have delivered quite a bit in the first year of the confidence and supply deal and we want to continue to do so. In terms of Northern Ireland we want to see the restoration of devolution. We believe that Northern Ireland has a massive opportunity in terms of those key growth sectors of the economy and in terms of its fantastic people.